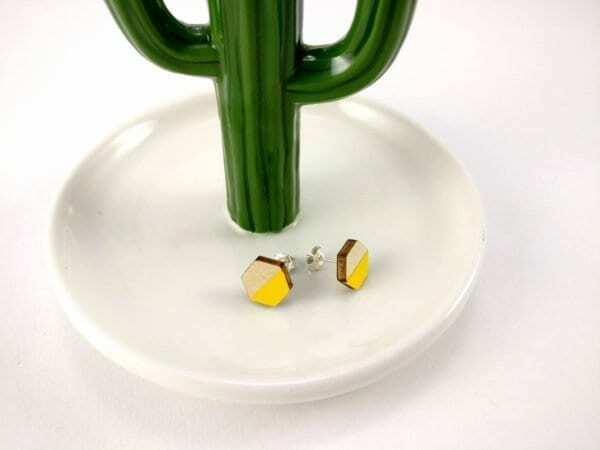 You can request these studs in ANY COLOUR, just press Custom Order button above. 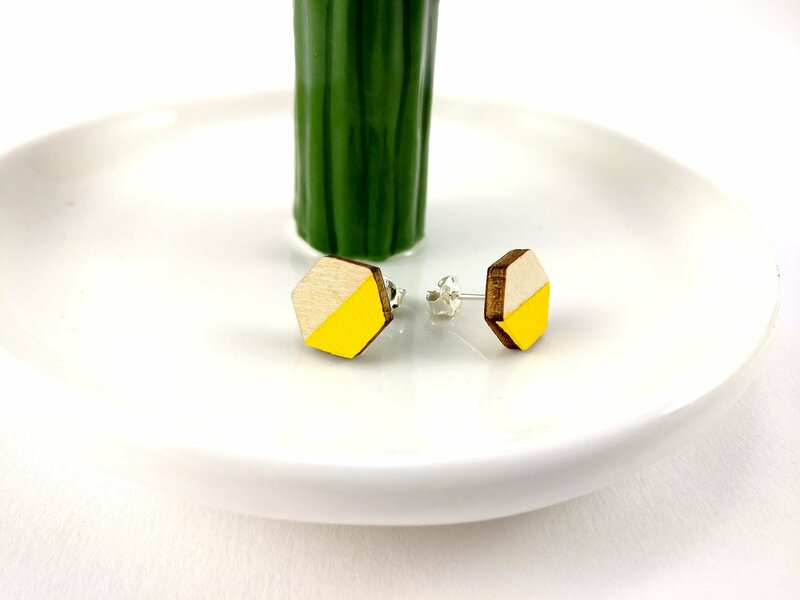 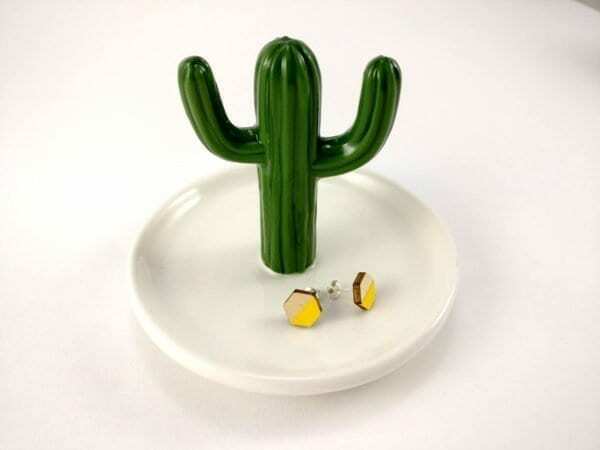 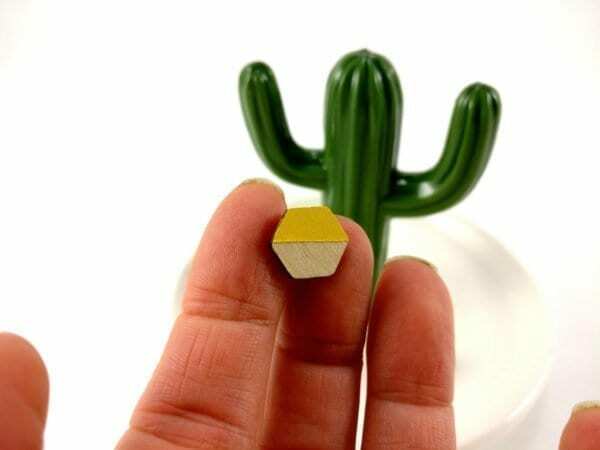 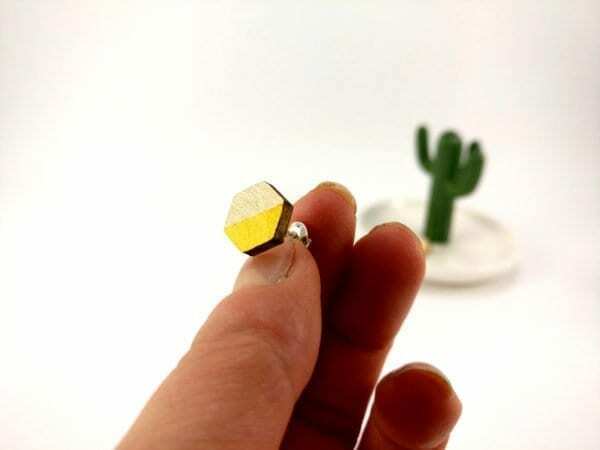 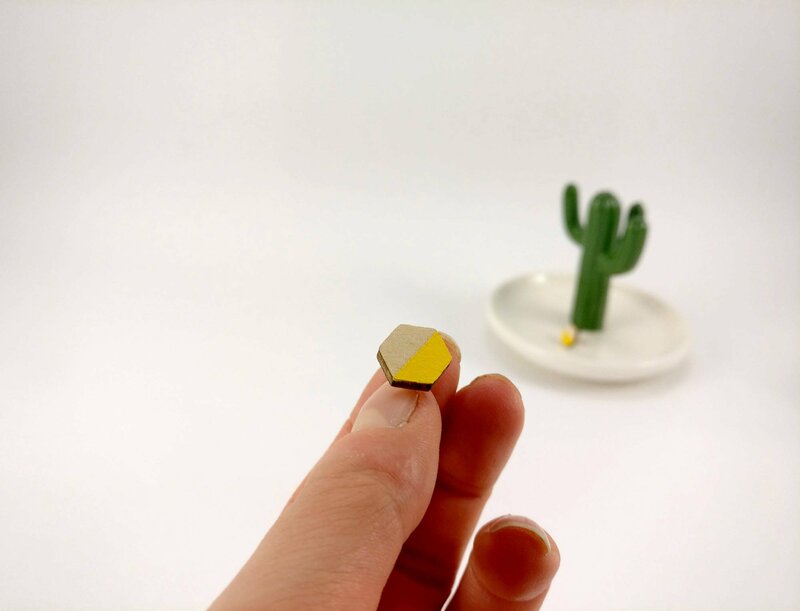 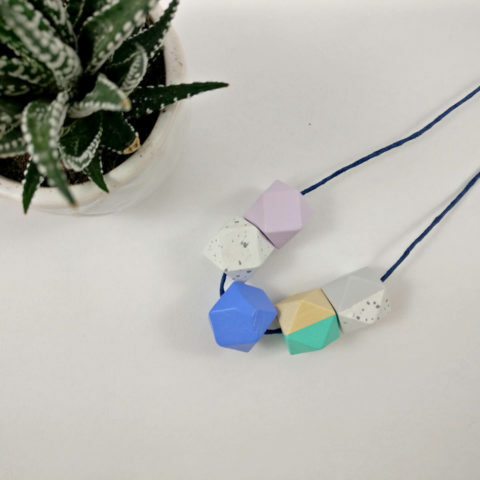 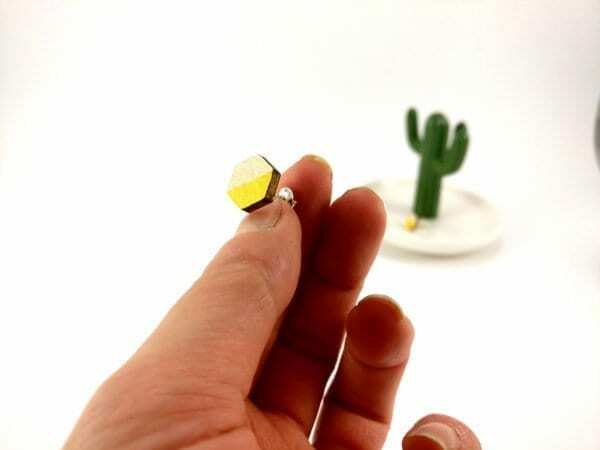 Each geometric earring is made with a 12mm wide faceted wooden hexagon that I have hand painted using acrylic paint, taking inspiration from latest fashion, items that I fall in love with and from the seasons. 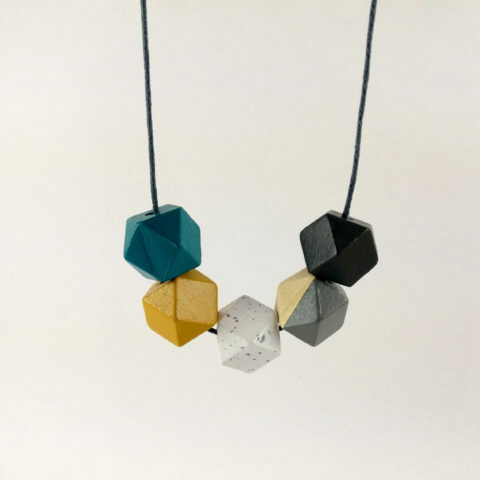 The beads are varnished for a matt finish (or shiny finish for metallic colours) and are attached to a sterling silver or silver plated post. All this gorgeous Statement earrings are bespoke and hand made, so they are unique but might bear some slight imperfections. 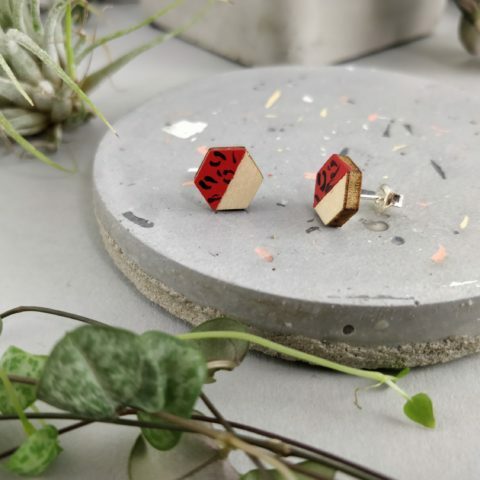 Because of the nature of the materials (wood and acrylic paint) and how they are made (by hand rather than factory mass produced), it’s important that you store the items with care as the paint might wear off with time.